Acute Stroke Thrombolysis only recannulates approximately 10% of large vessels. Included almost all patients for thrombectomy with large vessel occlusion who don’t have too much established infarct. No absolute cut off time, image vessels early. Don’t treat those with a poor baseline function, extensive pmh, in hospital infarcts, established infarct on scan. Non orthopaedic cause of myelopathy (it’s not always cauda equina). .. If MRI spine is normal..have you imaged the right part of the spine? Is it too early? Have you imaged the right part or the right scan? Is the lesion not visible on MRI? Is it a lesion in brain? Is it a problem of neuromucular junction? Is this a lower motor neuron lesion? Spontaneous low pressure headache – sudden onset severe headache on standing can be associated with thoracic back pain due to spontaneous leak of csf often in the thoracic spine. Can pull brain downwards that looks like chiari malformation on MRI. Often associated with connective tissue disorders. Patient id was a problem, the patients were carrying fake ID, particularly with transfusion, helped by ED based transfusion team. Staff response needs to be tiered organisation by a distant member of staff helped. Handovers needs to include everyone…managers, allied healthcare professionals, etc. Ballistics and evidence collection training is needed by everyone as clothes, possessions, foreign bodies that are removed are all evidence. Everyone needs Blast training….look in eyes, ears etc. Many CBRN agents may have a delayed presentation or delayed detection so events may move on to other departments. Decontamination should happen at scene however it often doesn’t happen. Decontamination. ..remove clothes, blot dont rub with paper, wet decontaminate if needed. Polar trial – prehospital cooling for tbi and maintained for 7 days…no difference between 2 groups. Increased adverse events in cooled patients. Eurotherm 3235 cooling raised icp patients caused harm, trial stopped early. Paramedic2 adrenaline in shock refractory out of hospital cardiac arrest – adrenaline restarts heart and marginally improves survival but survivors had severe neurological impairment. ALPS trial – Amiodarone, lidocaine, placebo in out of hospital cardiac arrest more likely to survive with drugs than placebo. Eolia trial – ecmo for ARDS significantly improves survival at 60 days. Florali – high flow nasal cannula oxygen vs face mask oxygen and niv for preoxygenation in patients with hypoxic respiratory failure needing RSI. Nasal Cannuale is best. Beam trial boogie vs stylet for intubation with McGrath. ..boogie more likely to get 1st attempt intubation without complications. IRIS trial – cricoid pressure vs sham pressure, no benefit from cricoid pressure. Ideal-icu – when to start renal replacement therapy in severe sepsis induced renal failure at 12 hrs vs 48 hrs. ..no difference but very high mortality anyway. Bicar-icu – bicarbonate for severe acidosis…some benefit of giving bicarbonate in severe acidosis. Smart trial -Saline vs balanced crystolloid (Hartmans) for fluid resucitation in ICU, more adverse kidney events with saline. Salt-ED Saline vs Hartmans in ED…no difference in hospital free days. Adrenal trial -hydrocortisone vs placebo in Septic shock, reduced 90 mortality and reduced icu days with steroids. Andromeda trial – shock treatment guided by peripheral perfusion vs Lactate guided resucitation …outcome better with perheral perfusion guided resucitation. Venous Sinus Thrombosis – its variable presentation, and need to highlight in the CT request. Should ED manage the Trauma airway? A debate with an ED consultant for and an Anaethestist against. The eventual conclusion was that it doesn’tmatter who manages the airway as long as they are trained, competant and current with good governance in place. Bigger drains aren’t always better however they need to be able to drain without blocking or clotting, not kink, secured appropriately. Prime drains with sterile saline and thoracic surgeons can cell save blood. Flutter bags for chest drains rather underwater seals are likely to be easier to manage until a ptoent gets to definitive thoracic care. Chest drains should only be clamped to change bottle. Is REBOA effective in a TCA? Haemorrhage is the leading cause of survivable trauma death, external haemorrhage has been reduced by the use of tourniquets. We dont know if REBOA works but the key is placing REBOA during the low output state rather than during arrest. The REBOA trial is ongoing. A system approach improves survival. Early first aid, advanced Prehospital care, damage control resucitation and excellent rehabilitation. Simulation allows people to rehearse skills in a risk free environment. Functional fidelity (does it work like real), physical fidelity(does it look real), psychological fidelity (does it make people feel real). Most of those affected by incidents will not have a diagnosable mental disorder. If you are stuck processing/reliving something you are less available to your team, it reduces your bandwith therefore you can’t offer support and empathy to colleagues. It is often the little things that stick with you after a job, talking about it needs acknowledgement that it has affected you. Forced intervention is really bad for people, not everyone will be ready to talk at the same time, some will never want to talk. Providing spaces to talk is more important. SDH and EDH are not brain Injuries, the secondary brain injury occurs if these are not treated. What time point are we prognosticating at? At times etc of injury or 6 hours later when bleeding has occurred due to antiplatelets? Prognostication needs to occur over a few hours, resucitation needs to have occurred, the duration of observation is a clinical judgement. Resilience – a process linking a set of adaptive capabilities to a positive trajectory of functioning and adaption after a disturbance. Compared to the reference population ED and Pre-hospital staff have higher levels of fatigue, poor sleep, depression and anxiety. Stress levels tend to be higher when the care involves children, collegues, older people or disabled people. Psychological impact tend to be worse if patients die, we feel we should have done more, there is little percieved support from colleagues, family or friends or the incident follows other stressful events. Improving patient care can only be done by increasing the care of staff as they deliver the care. Caring for the personal needs of staff reduces clinical errors. Secondary stressor can be worse than the primary incident and can be these things that prevent people from coping. The primary mental disorder in relation to stress is substance misuse not ptsd. It is OK to be upset it does not mean you are not resilient. Like many things we do in Emergency Medicine the technique is not difficult and uses basic kit; it is the decision making that is the difficult part. Phone a friend and get someone else there with you for those difficult decisions. Understanding Mechanism of Injury can help predict injury patterns. Every mechanism gives a predictable pattern of injuries, what happens to the patient depends on speed of vehicle, shape of vehicle, rigidity of vehicle, presence of advanced protection,speed of pedestrian, size of pedestrian and age of pedestrian. Ask a 1st hand witness if possible to prevent Chinese whispers. Injuries come from change in velocity and exchange of energy over time. Low speed deceleration causes less injury than sudden stop. Engage with all members within your organisation. The right decisions are not always the easy decisions. Post-mortum CT gives the cause of death for most patients, medical or traumatic. It can also tell us if our attempts at life saving interventions were done correctly. Analysis of post-mortem images and injuries can help confirm the mechanisms of injury. Casualty regulation and capability chart determines how many pts (go to MTC) P2 go to TU. P3 go to other hospitals. Recent major incidents have higher numbers of P1 casualties – previously assumed 10% in a major incident…recent incidents have all have been considerably more than this; trauma units will get some P1 patients. Trauma Units therefore need to declare what sort of patients they can take… P1 but with specific injuries. When trying to clear the ED patients don’t necessarily leave ED even when told it is a Major incident they need to be individually redirected. NHS England have produced clinical guidelines for major incidents and mass Casualty incidents in an easy to read format. Invented by a Welshman ‘Hugh Owen Thomas’, the introduction of this simple device in World War 1 went on to reduce the mortality of #femurs from 80% to 16%. Adjust length to the above measurement. ensuring the Hoop is at an angle with the lateral (outside leg) higher than the medial (inside leg). 1. take the strings and pass one over and one under the sides of the frame. 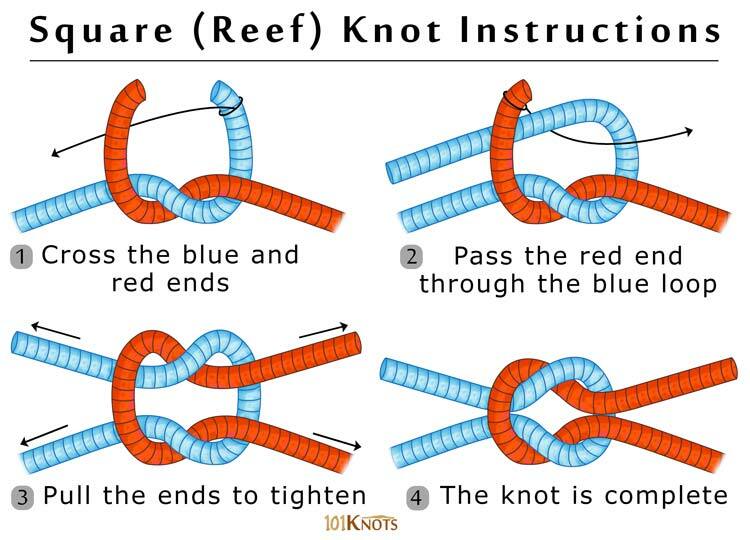 3. pass strings down (one over and one under) around the base, bringing them back over the Reef Knot and back around the base. This makes a pulley system. 5. Pass the tongue depressors (2 tongue depressors tapped together), twist the tongue depressors to achieve the required tension, and lock off against the side. Great review of shoulder reduction, techniques and sedation.